Usually houses don’t sell so well at this time of year but Nevada’s Marjorie Dalgarn is doing a brisk business in home sales. She uses polymer to sketch custom house ornaments and she’s booked through the season. She stamps the name and date on the back and they’ve made such popular gifts that she’s already stopped taking orders for the holidays. Should you add “Build a polymer house” to your holiday to-do list? 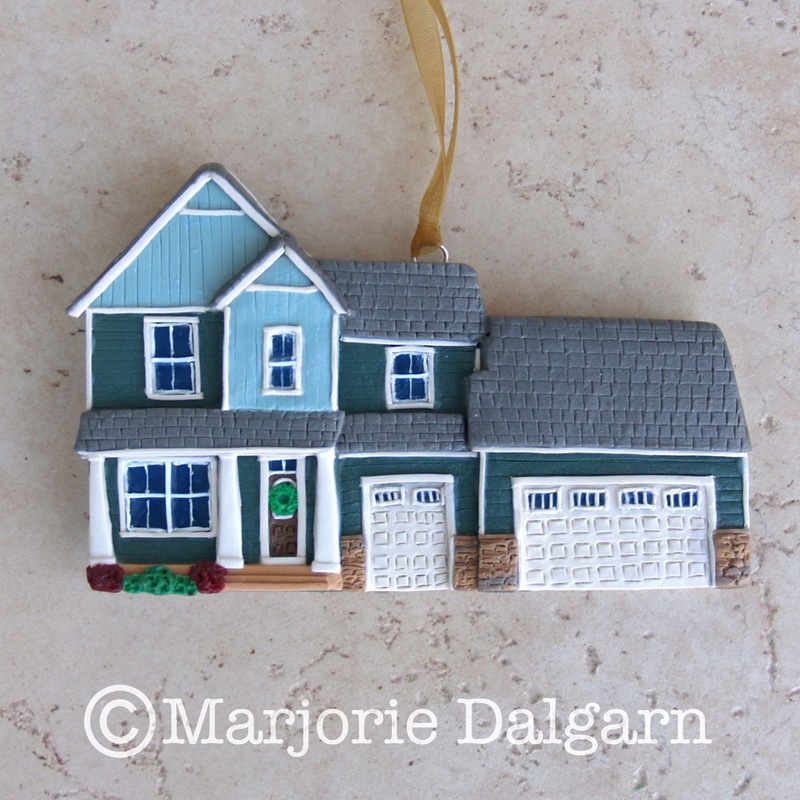 Marjorie also makes family ornaments, cake toppers and other themed polymer works and beaded items. She offers a free pumpkin pie tutorial just in time for Thanksgiving. I love Marjorie’s little houses… the bonus? They’re move-in ready! Those houses are just adorable. What a great Christmas gift to give or get!